"This interactive eBook collection will be a valuable tool for secondary schools that want to delve into 21st century learning with their students. ... The vivid pictures and photos in the print books are even more vivid online. The site was easily accessed by multiple computers, and at different times of day. There are lesson plan and curriculum aids for teachers such as pretests, post-tests, and blogs. The site will appeal mostly to middle school students, but can also be used by high schools. It could help with extended learning for the advanced, as well as aid the struggling reader, or the English learner, in that it can read to a student who wishes it." "The text is very current, the images are appealing and the books are filled with real world examples and good suggestions to the problems that teens experience at this point in their online worlds. But my favorite part, and it may also be the case for teens, is the social networking simulations that are placed above and on the right side of the text. ... The collection goes way beyond what most would consider a basic ebook. They actually provide an interactive experience complete with simulations, videos, online quizzes so that students can self-check their comprehension, as well as lessons and other teaching tools. 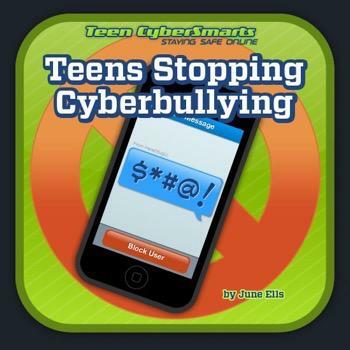 ... TeenCyberSmarts meets a need."